Two of the most common reproductive conditions in female patients are fibroid tumors and polyps, and both conditions are treatable at this state-of-the-art fertility center in Allen, TX. Endometrial polyps are overgrowths of the endometrial lining. They are hormonally responsive, typically benign and mainly cause irregular bleeding. Polyps have been shown to reduce the potential for pregnancy during fertility treatment. Dr. Beshay will evaluate for the presence of polyps during your fertility evaluation. If a polyp is found, hysteroscopy is the best way to remove it. This is a scar-free procedure using a micro camera and tiny instruments. Recovery after this procedure is extremely fast and return to normal activity is sometimes as little as 24 hours. Fibroids are benign muscle tumors of the uterine wall. They develop in the majority of women, however, their effect on the uterus will differ between individuals. Some women will have very small and undetectable fibroids that are asymptomatic and have no impact on fertility, while other women will have large and numerous fibroids that affect the uterus significantly, impacting your chances of successful conception and full-term pregnancy. In the initial evaluation, the uterus is closely evaluated for the presence of fibroids that may impact fertility. If there are small fibroids located far away from your uterine cavity, no further intervention may be necessary. This will depend on other physical factors as well. If fibroids are larger in size or encroach on your uterine cavity, surgical intervention may be necessary and several minimally invasive options are available. If the fibroid location is limited to the uterine cavity, hysteroscopy, without skin incisions may be adequate to successfully remove the fibroid. 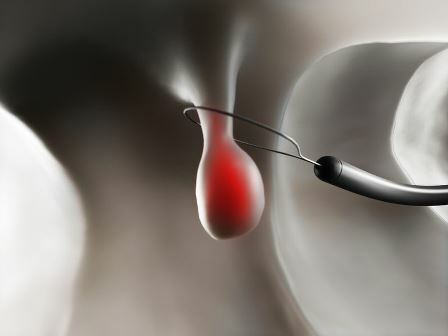 This procedure is performed with the guidance of a camera inserted into the uterine cavity through the cervix. If the fibroids are mainly located in the muscle of the uterus, an abdominal surgical approach may be necessary. A small incision is used to reach the uterus and an incision on the uterus allows removal of the fibroid. Other less invasive approaches such as uterine artery embolization have been used to address uterine fibroids, however, this procedure is not appropriate for women seeking to get pregnant in the future. Women with polyps, fibroids or infertility concerns in the Allen, TX, area can rely on the expertise of Dr. Beshay and DFW Center for Fertility & IVF. Contact us online to schedule a fertility evaluation or call 469-854-0305.